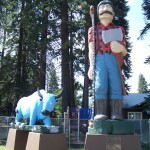 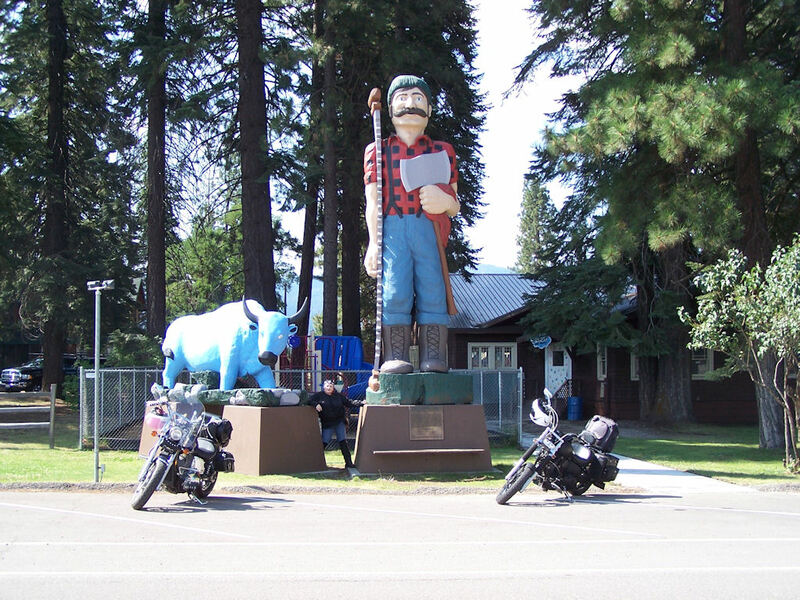 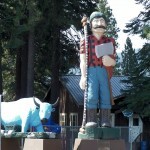 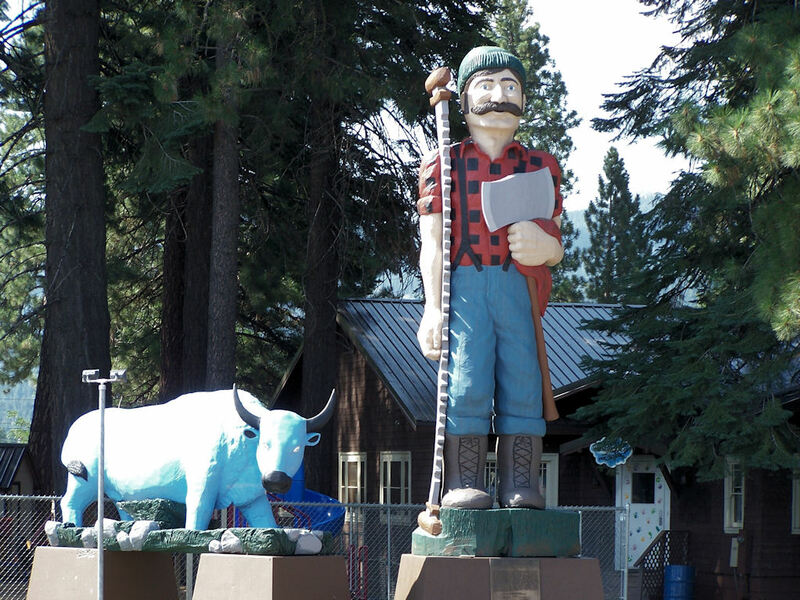 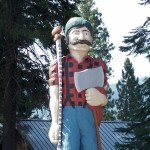 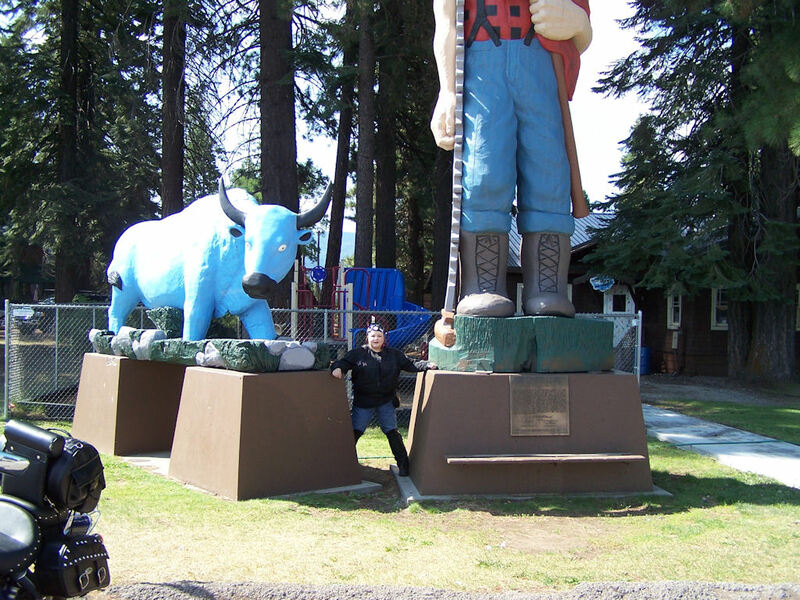 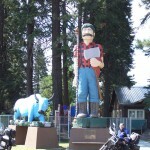 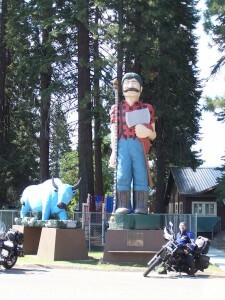 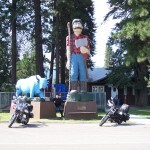 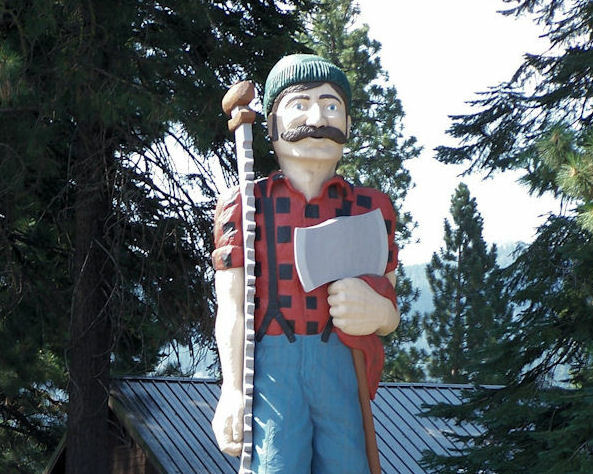 Off of Hwy 36 in Westwood, California – just outside of Lassen State Park – you’ll find Paul Bunyan and Babe the Blue Ox. 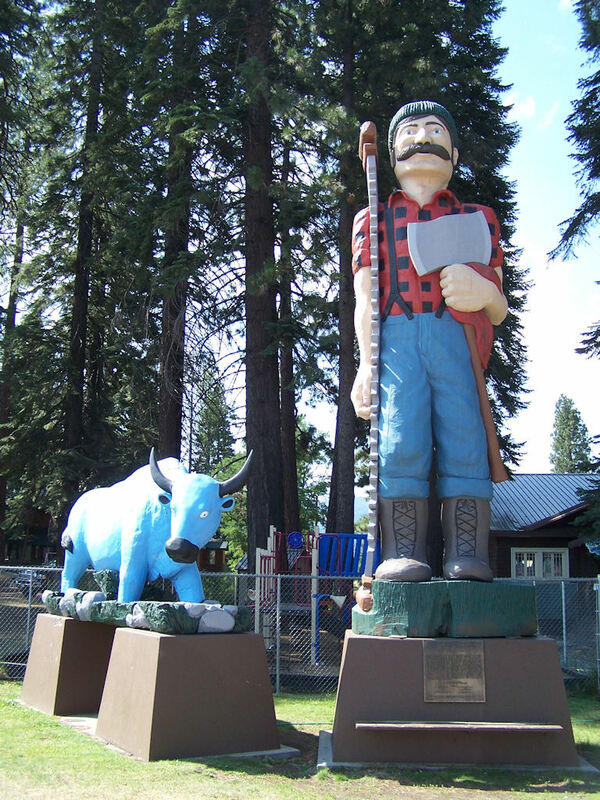 Westwood is serious about their Paul Bunyan; they take full claim as his hometown and say that their own local Red River Lumber Company invented Paul Bunyan and built the town of Westwood. 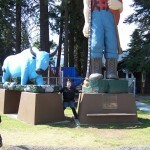 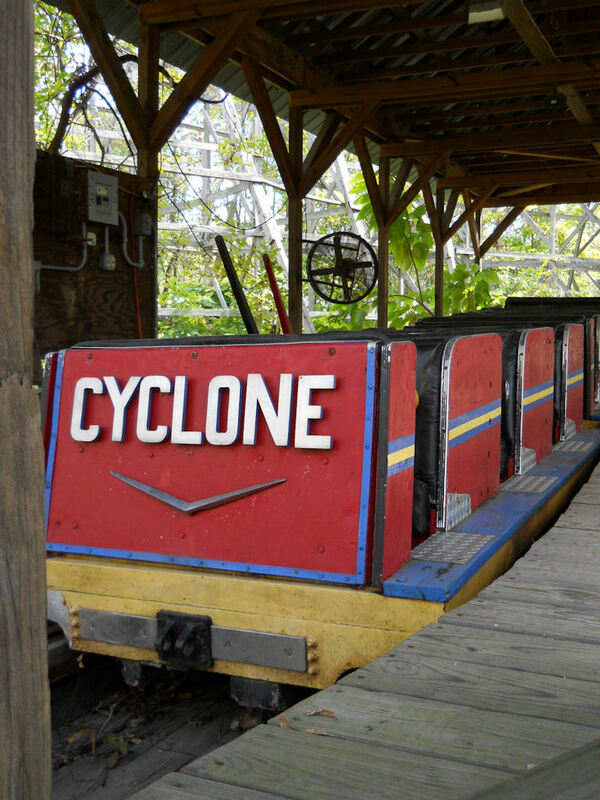 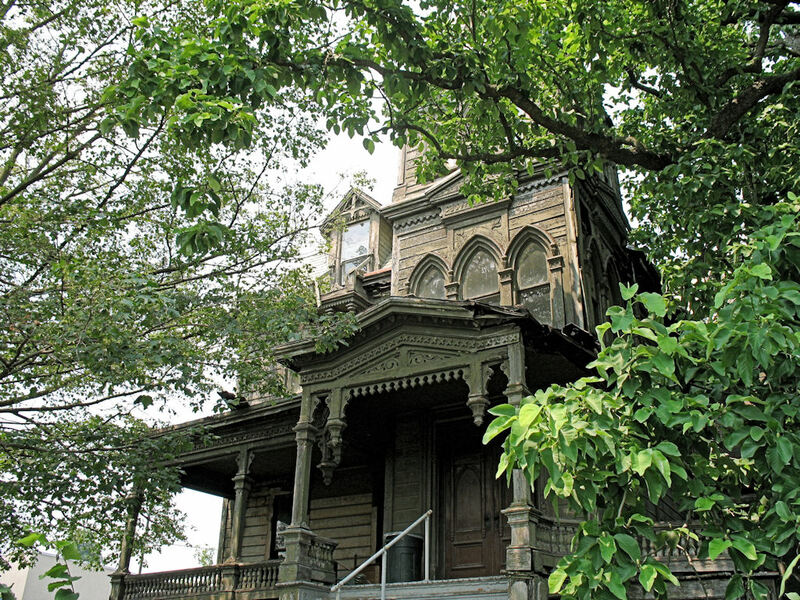 Thanks, Amanda & Steve, for another great find!